Welcome to our Archery page. This page was designed to help anyone who wants to become better at archery. From the definition of archery to complex bow tuning techniques, this page has you covered. Please browse the sections to better your knowledge with our archery tips. In this section, Eric Newman, Phillippe LaCavalier, and Corey Haas journey into the finer details of arrow performance and custom arrow builds. When you finish this section, you should have a full understanding of static spine, dynamic spine, momentum, FOC, and custom arrow builds. You’ll also be able to look at how today’s manufacturers score on product accuracy. 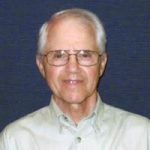 Longtime archer and retired from mechanical engineering, Joseph Marzullo has been a pioneer in compound bow accuracy for many years. In this section, Joe, the inventor or the “Tilt Tamer” and contributor to many patents worldwide, demonstrates his compound bow torque testing method and delivers some excellent data on several different bow models. 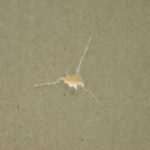 He also covers nock travel with his unique nock travel testing method. Hello fellow archers, my involvement with archery started when I was 10, I’m now in my 77 th year, a lifelong love of the sport. There were (and still are) many myths and much disinformation (fake news) about archery. With a mechanical engineering perspective it’s imperative to measure things. We need real data to determine if a bow is better or worse than its peers. The first bow torque test data I invented was accurate but not user friendly to understand. This encouraged me to migrate to a testing device design that produced data that all archers understood, the laser based fixture you see in these YouTube videos. This test produces data that is understandable. Some of you may believe that this is too technical and not important to a hunter. I strongly disagree. I have been a bow hunter for most of my years and am proud to say that I still hunt from a tree stand and hunt deer with a bow. 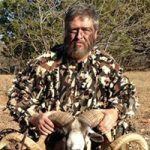 I choose a bow that is accurate above all, and a bow that produces very little torque shines when the pressure is on for a quick shot at that trophy buck you have been dogging all year. 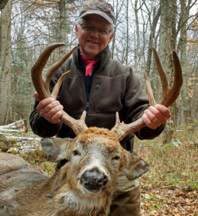 I’m blessed to share my archery buck harvested in this my 77th year. Thanks to Newbury Archery located in Goshen, CT for making these tests possible. If you are just starting out in archery or want to just learn a little more about this ancient sport, learn this section. When you are done, you will have an understanding of the history of archery, the different bows of archery, and the parts of a compound bow. Archery by definition is the art, practice, or skill of shooting with a bow and arrow. The bow and arrow was invented around 25,000-30,000 years ago during the Upper Paleolithic Period. This highly advanced tool at that time was instrumental in hunting and warfare. The use of bows and arrows has been discovered all over the world either through ancient art or archeological findings. Many battles throughout the history of mankind were won with the use of this accurate shooting instrument. Archery has been a major tool for hunting and warfare throughout the development of mankind up until the advent of firearms. Although still used by certain African tribes during warfare, archery is more commonly a target shooting past time or big game hunting option. Today’s archers have many options when choosing what kind of bow to shoot. All of the bows available are similar in function but very unique in design and efficiency. Explore the compound bow, recurve bow, longbow and crossbow in the link below to see which style of bow is right for you. Going to shoot a compound bow? Excellent choice. 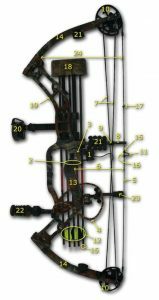 Learn more about the parts of the compound bow in the link below to further your development in archery. If you have decided to give archery a try, you will need some equipment. What archery equipment is the best to use? That depends on you. Everyone is different as far as physical capabilities and personal preferences. Our suggestion is to visit and archery pro shop and try different kinds and different models of bows. There are two things that are crucial to know before purchasing a bow, what draw length you need and what draw weight you are comfortable pulling. Draw weight is the force needed to pull a bow back to full draw. You must be comfortable drawing your bow back in a variety of different positions and conditions. Draw length is the amount you have drawn the bow back at full draw. This measurement is in inches and must be chosen wisely so the archer can maintain proper archery form. If the draw length is too short or too long, inconsistent accuracy is normally the result. 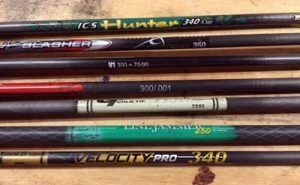 When choosing the the right bow, you’ll need to go and try a few of them out. Visit your local proshop and shoot a variety to see what bow feels right for you. Try not to be a brand loyalist and open yourself up to what the market has to offer. If you try out numerous different bows at your proper draw length and draw weight, you will be able to focus on the feel of the bow. You’ll know what bow is right for you. Arrows are made from a variety of materials which include wood, aluminum, carbon fiber and fiberglass. Wooden arrows were the most commonly used until 1939 when James Easton made the first arrow shaft out of aluminum. Aluminum offered a very straight rigid arrow which became the most popular arrow all the way into the 1990’s. In 1983, the Easton company developed the first carbon arrow. The carbon arrow, which is considerably lighter than the aluminum and wooden arrow, offered excellent straightness and the ability to flex and return to its original state without losing its original shape. These benefits of the carbon arrow are what makes it the most popular arrow on the market today. The notched part of the arrow which attaches to the bow string is called the nock. In earlier times a groove was cut into the wooden arrows to serve this function. Today’s modern nocks are made of a hard plastic and insert into the end of the hollow arrow.Near the rear of the arrow, just forward of the nock, are the fletchings. Fletchings, which are fin shaped materials, induce spin to the arrow due to their offset installation and help to stabilize and perfect the arrow’s flight. When the bow is out of tune and the tail of the arrow is not on the same path as the head of the arrow, the fletchings react with the air’s friction and stabilize the arrow’s trajectory. The fletchings ensure the tail and the head of the arrow follow the same path leading to greater accuracy.There are a lot of things to consider when choosing the right arrow for archery. Factors like type of arrow, length of arrow, and spine of arrow are all crucial for achieving ultimate accuracy. If you want to become the best archer you can possibly be, you should learn how to work on your own equipment. 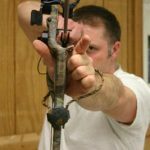 The pages listed below this section will walk you through learning how to tie archery knots, how to use a bow press, and how to install various components that you will use in archery. Once you master the basic bow technician procedures, you will be ready to tune your own equipment. Once you have all the above mastered, it’s time to learn how to tune a bow. Learning how to tune your own bow is instrumental in achieving success in archery. We like to say that when you are out at the range or in the field hunting, you never want to be able to blame your equipment. If your equipment (bow and accessories) is tuned, then it’s up to you for executing the shot properly. There are two main things that you have to master to become proficient in archery without the help of other. Those two things are being able to tune your own equipment and how to shoot a bow and arrow with proper archery form. Proper form is the human factor when shooting a bow. Proper form includes the proper stance, grip, body position, proper use of a release and the use of back tension while executing a shot. This is the most important section on this page. If you master proper archery form, you will see your accuracy increase dramatically. Competitive or target archery is a great way to hone in your skills as an archer. You can compete against your peers on a variety of different platforms. You can participate in 3D archery course to test your skills on lifelike animal targets. If long distance target shooting entices you, then perhaps a field archery course or tournament will be a fun challenge. You can also try your luck at indoor target archery to see how many times you can nail the bullseye at 20 yards. No matter which route or routes you choose, competitive archery is a great pastime that will allow you to perfect your archery skills.